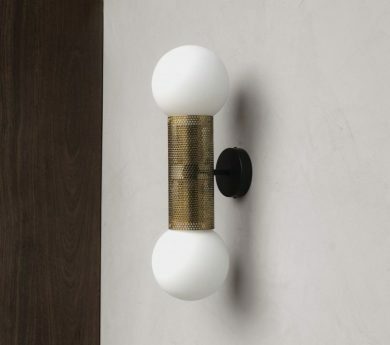 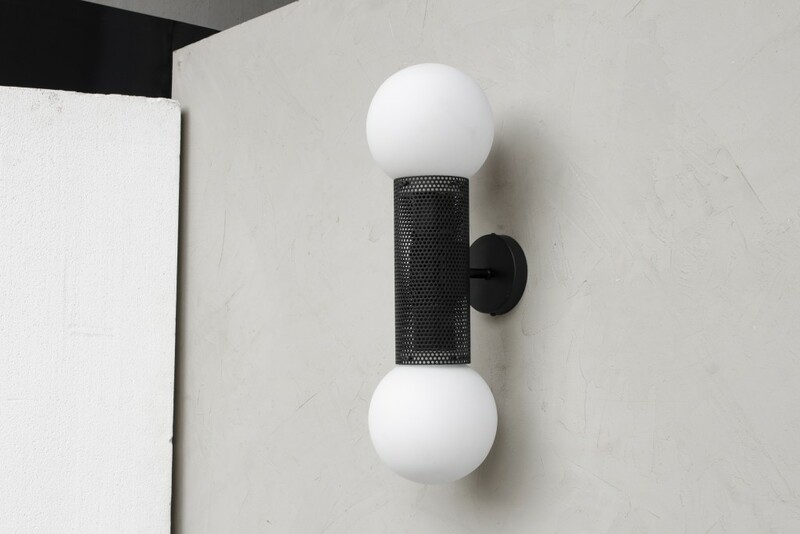 Double the fun with the Perf Double Sconce. 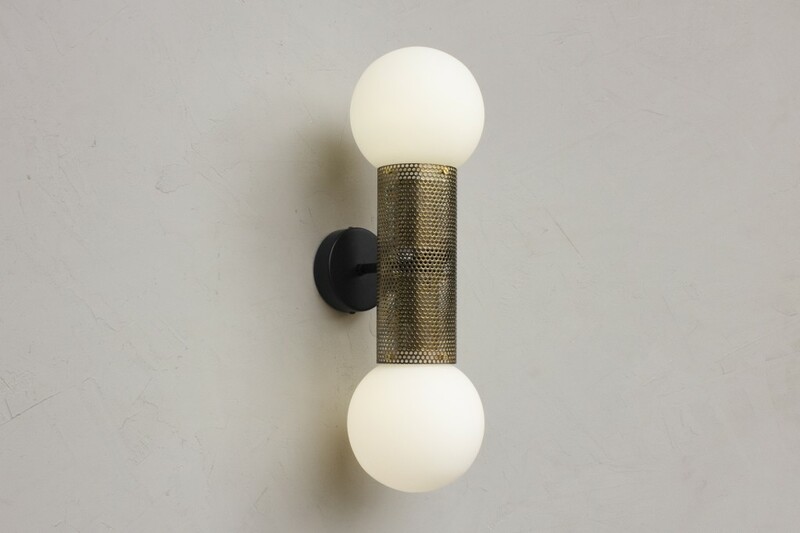 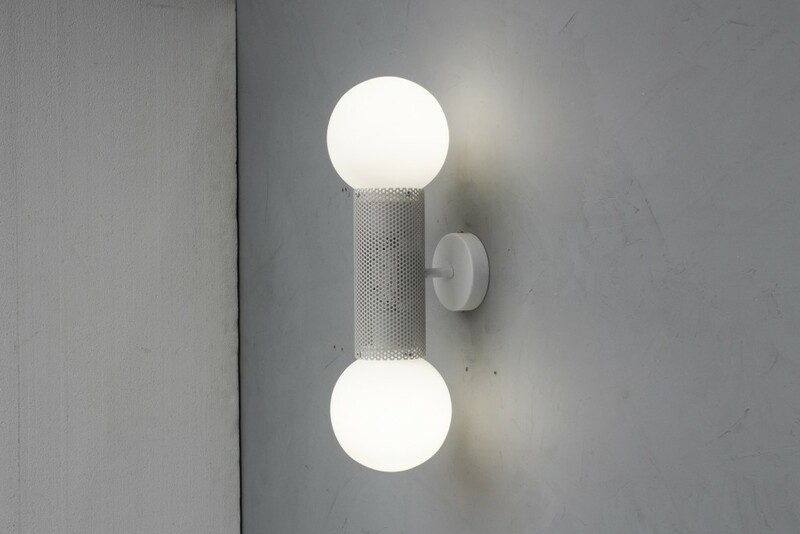 Made from hand blown opal glass with a perforated metal housing. 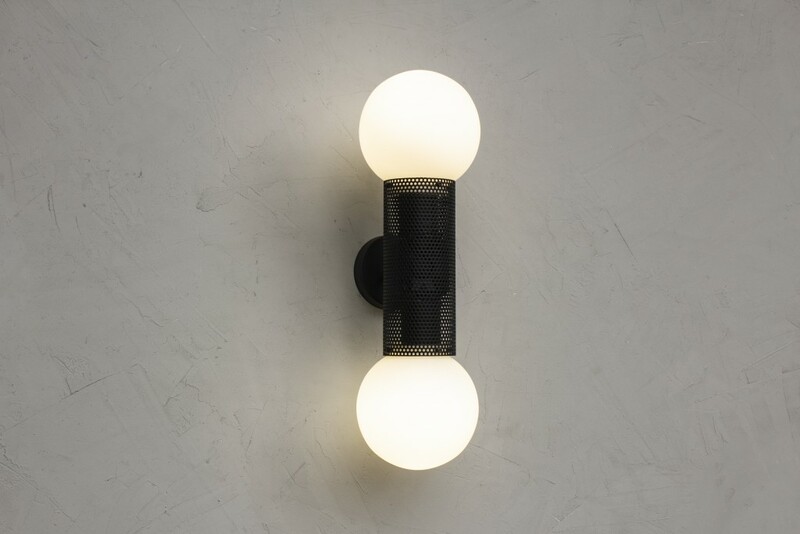 Utilising low energy LED bulbs, Perf Double is available in 3 finishes, with custom colours available on request.